It’s finally spring, which means lots of us will be preparing for the big spring clean and clear out. If you’re thinking of redecorating or refurnishing at the same time this year, take a look at the 2 biggest spring trends for this year and how you can incorporate them into your home. There’s a big theme for green this year, especially layered with woody shades. In many cases a brown sofa would be a great choice, as it’s a more flexible colour than green. Sofas aren’t cheap so you want it to last! A brown sofa decorated with green cushions and other green accessories in the room is a great nod to one of this season’s biggest trends and it adds a fresh splash of colour to your home too. Take a look at our wide range of leather sofas which work well with this trend. The Madrid black and walnut collection of bedroom furniture is ideal for embracing this look and it offers fantastic value too – you can get the full furniture set for under £200! Pastels have been given a modern twist this year so embrace the colour! Dusky shades of mint green, soft lilac and eggshell blue are going to be huge so if you’re going to be paint shopping these are the colours to look out for! Simple designs are key for getting this trend right so avoid fussy or floral patterns and keep it plain. If you’re adding colour to the rest of your room it’s a good idea to keep your furniture plain and simple. 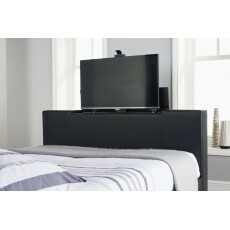 At Zest Interiors we have a huge range of furniture for your living room, dining room and bedrooms at fantastic prices. So whatever you’ve got in mind for your home this year, be sure to visit Zest Interiors online or in store and see how we can help you furnish your home for less! 0 Comments To "Spring Trends for the Home"